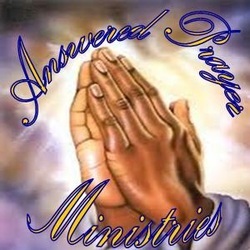 Answered Prayer Ministries purpose is to equip believers to have the Power to BE and the Authority to DO. One of the greatest promises made to every believer is answered prayers. In Scripture, Yahusha made this tremendous promise, “Assuredly, I say to you, if you have faith and do not doubt, you will not only do what was done to the fig tree, but also if you say to this mountain, ‘Be removed and be cast into the sea,’ it will be done. 22 And whatever things you ask in prayer, believing, you will receive.” Matthew 21:21-22. It is the power of prayer that moves the hand of Yahuah and Prayer is an essential part of our relationship with Yahuah . Yet, too often we neglect this vital bridge of communication with Yahuah. In many cases, we don't pray because we don't know exactly how to pray or how often. Yahusha's disciples clearly saw the effect that prayer had in His life. He spent large amounts of time in prayer, often by Himself. The disciples soon realized that the demonstration of Yahuah's power and wisdom flowing from Yahusha's life directly resulted from the intimate fellowship He enjoyed with His Father. Answered Prayer Ministries purpose is to help believers grow in their faith and operate in the power of the Ruach ha Kodesh to become effective doers of the word of Yahuah. We also believe in the power of prayer and are here to pray with you and teach you how to become effective with your prayers to see the move of Yahuah. Our goal with those that are in need of prayer is to address blockages in their life and to recognize the root problem, then empower them to fulfill their Yahuah given potential with joy. We are enabled by Yahuah to see past the surface problem to the hidden roots and we invite Yahuah to touch every root problem area. As prayer ministers, we address spiritual root causes vs. counseling surface symptoms. When you pray do you expect results…every time? Well, you should, and you can. Here are some steps that can help you see results in prayer—every time. Base every prayer on the Word. Prayer that brings results must be based on Yahuah’s Word. So start with the answer, which is the Word and begin to speak to the problem by declaring who Yahuah "IS" to the problem. Example: If you have an addiction to Cigarettes, before you take a smoke of it, declare something about Yahuah to it, like: Yahuah is Love, Yahuah is my Healer, Yahuah is my refuge and strength, then see what Yahuah does with your problem. Yahusha said in John 15:7, “If ye abide in me, and my words abide in you, ye shall ask what ye will, and it shall be done unto you. ”Yahusha uses the illustration of the grape vine to make clear to His disciples what He means, and in this illustration the word abide is used eleven times. Since this word was used so frequently, it would be wise to ensure we fully understand its meaning - especially in this context. In general, the word abide means to continue on in a permanent state. The Strong's Exhaustive Concordance of the Bible gives us a fuller understanding of the Greek word that is translated as "abide"... 120 occurrences; translates as "abide" 61 times, "remain" 16 times, "dwell" 15 times, "continue" 11 times, "tarry" nine times, "endure" three times, and is miscellaneously translated five times. Dictionary Definition: to remain, abide. to sojourn, tarry. not to depart. to continue to be present. to be held, kept, continually. to continue to be, not to perish, to last, endure. of persons, to survive, live. to remain as one, not to become another or different. to wait for, await one. wait patiently for, to withstand, to dwell, to remain in place, and to conform to. These are all good definitions, but in the original usage (Greek, Hebrew, Aramaic), the meaning of the word went much deeper. There are five different words in the original Greek and Hebrew for the one word (abide) that we have in our language. The first of these words, epimeno, is the strengthened form of another verb, meno, which means "intensive." The word epimeno sometimes indicates perseverance in continuing to do something. The second word, katameno, is a verb that means "constant residence" or "frequent resort." Another word, parameno, means "to continue" and is sometimes used to express confidence in abiding with a person. One really neat word is hupomeno which means "to remain in a place instead of leaving it; to stay behind or persevere." Finally, the word prosmeno is used in several different situations to indicate a persistent loyalty or a continuance in doing something. For prayer to bring results, you must pray specifically. That means you must find scripture that applies to your situation and base your prayer on that scripture. For example, if you’re facing sickness, find scripture that pertains to healing. Your prayer could be based on. I Peter 2:24, because that scripture says, by Yahusha’ stripes you were healed. Once you find scripture that reveals Yahuah’s will regarding the situation you are facing, here’s the next step: You must apply your faith to the problem. To apply your faith, say what you believe (speak in agreement with Yahuah’s Word). Confess the Word out loud and start thanking Yahuah that you have what He said you have. Act as though you have received it, as though it is already done. Don’t allow doubt and fear to enter your consciousness. Satan tries to undermine your faith through suggestions, dreams and visions. He will do everything he can to try and convince you the circumstances are not going to change. But remember what Yahuah’s Word says! It’s your responsibility to believe what Yahuah says and refuse doubt and fear when it comes your way. tells you to do that by “casting down imaginations, and every high thing that exalteth itself against the knowledge of Yahuah, and bringing into captivity every thought to the obedience of Yahusha.” II Corinthians 10:5 You must control your mind, and you do that with the Word of Yahuah. Dwell on the answer instead of the problem. See what you’re believing for as done / finished. Hebrews 11:1 says, “Now faith is….” The Word says you have it--now. So take the scripture you’re standing on and begin to see that Word as being a reality in your life. Take that Word and renew your mind—change your mental attitude about your situation. Don’t be conformed to the world. “Be not conformed to this world: but be ye transformed by the renewing of your mind, that ye may prove what is that good, and acceptable, and perfect, will of Yahuah” Romans 12:2. Keep your mind on the Word and be transformed, changed. Begin to act as if you already have it. That’s acting in faith and faith will open the door for Yahuah to move in your life. Prepare to succeed! Make no provision for the flesh Romans 13:14. Make no provision to fail. Testify of what you believe—the Word. “And they overcame him by the blood of the Lamb, and by the word of their testimony. Revelation 12:11 ” You have a right to everything Yahusha’s sacrifice bought and paid for. So testify to that right. Proclaim it! You have been redeemed by the blood of Yahusha! You are what the Word says you are! You can have what the Word says you can have! But knowing all that won’t do you any good if you don’t believe it, receive it, apply it in your life…and make it the word of your testimony.